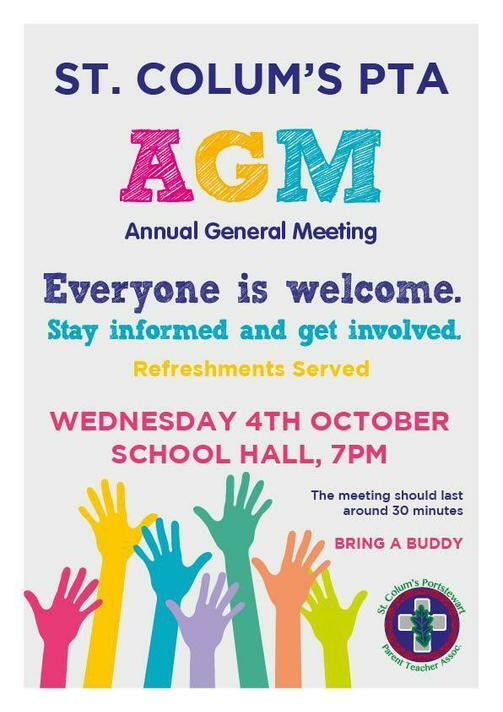 The PTA will be holding its AGM on Wednesday 4th October at 7pm. At this meeting we will run through the highlights of the previous year, review the finances and discuss plans for the upcoming year. The meeting itself should take no longer than 30 minutes. We will be losing several PTA members this year. A big thanks to them for their efforts over the last few years. Although the shoes will be hard to fill, we need new volunteers to step forward, so please consider helping out. It's not a huge commitment and can be quite fun and rewarding. We raised over £6000 last year and with your help, we hope to raise even more this year. There will be teas and coffees, so it'll be a good way to meet new parents in a relaxed environment.